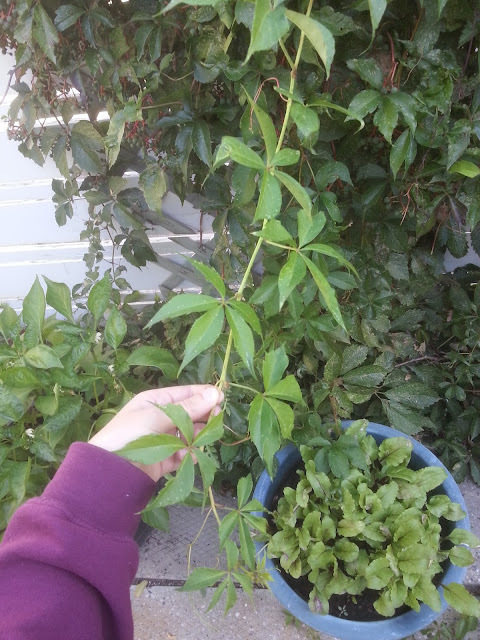 Virginia Creeper is a beautiful and vigorous vine that grows wonderfully in Canada. It thrives during our hot summers and then dies back and hibernates over our very cold zone 3 winters, only to emerge again faithfully in the spring! It's no wonder why it's coveted by so many people here! It looks stunning as it creeps along fence lines or crawls up the side of a building. It's one of my absolute favorites. In the fall, the leaves turn a breathtaking shade of red. Just the thought of it brings forth feelings of nostalgia for hot tea and pumpkin pie. Did you know that Virginia Creeper is also very easy and quick to propagate via cuttings? Now, the best time to work with Virginia Creeper in my experience is during the late summer. Late August and early September work well because the nights have become cool and the days are warm, but without the scorching intensity of summer. - A small or medium sized pot with good drainage. I just use the thin plastic pots that annuals come in, from my local garden center. *Rooting hormone: Using rooting hormone is not 100% necessary for success with this project, but I highly recommend it. It will exponentially increase the likelihood that your rooting experiments are successful. It is widely available at garden centers and even hardware stores. It will pay for itself after the first use and one bottle will last for years. I use it numerous times every month. 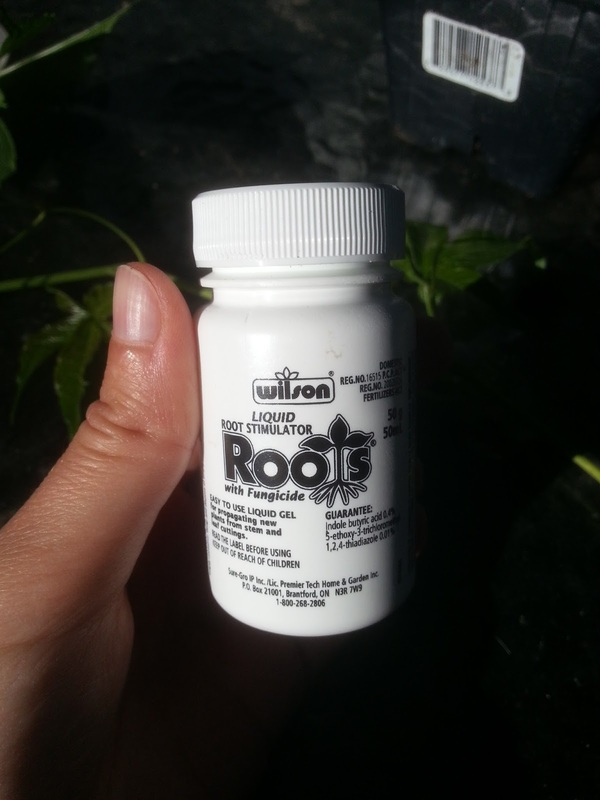 If you can't find rooting hormone to purchase locally, you can buy it on Amazon by clicking HERE (Amazon Affiliate Link). Alright, now let's propagate some plants! Fill your pot with your soil and sand blend. 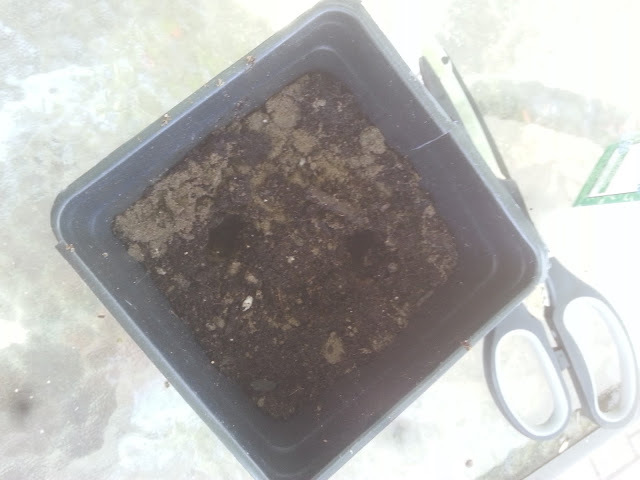 Firm the mixture into the pot and poke 2 or 3 holes into the soil, depending on how many cuttings you plan to take. I highly recommend taking more than one cutting, as rooting plants does not always yield a 100% success rate. 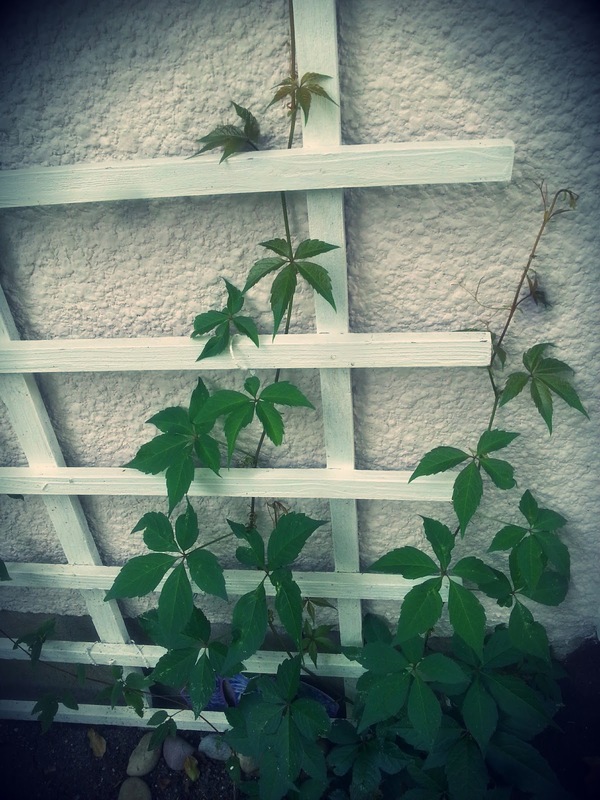 Head over to your Virginia Creeper vine. Locate a healthy piece and then find the end. Measure or estimate a length of 5-12 inches back from the end. With your clean scissors, cut just below a leaf. Take 1 or 2 more similar cuttings. Take your cuttings back to your potting station. Locate the leaves directly above where you cut. 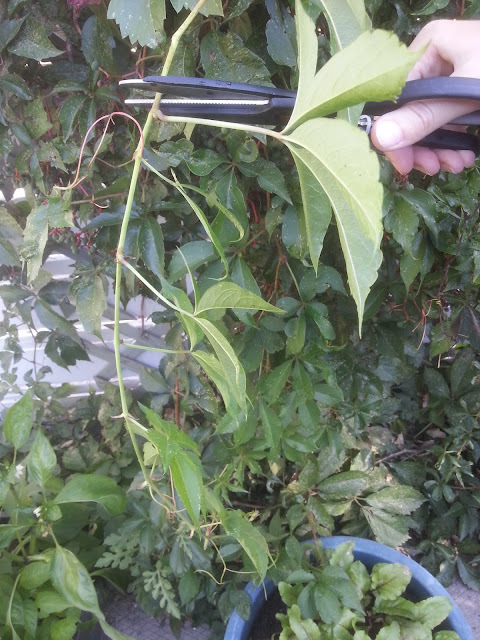 Remove all of the leaves from the lower 2 inches of the plant, right above where you cut. Dip this section into rooting hormone, allowing the excess to drip back into the bottle. 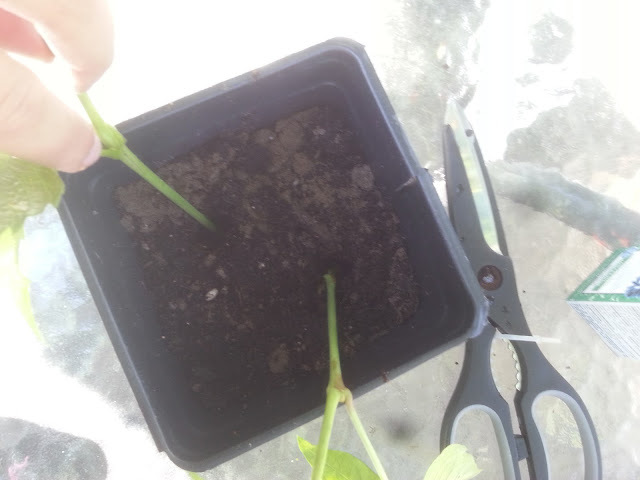 Place the cuttings into the pre-poked holes in the soil. Firm the soil around them. 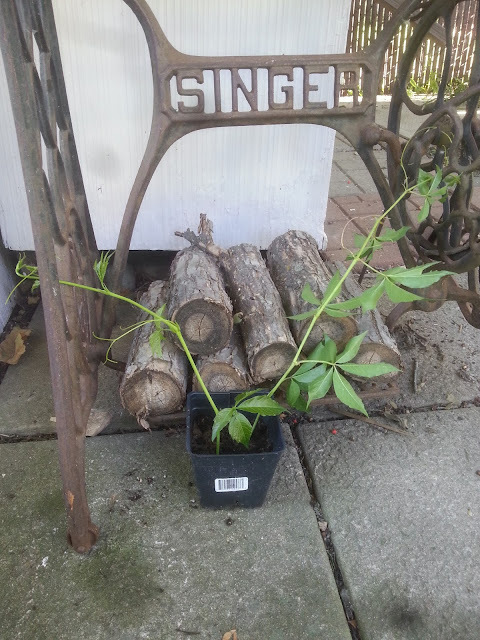 Gently place your pot of cuttings in a safe, sheltered, and shady location. 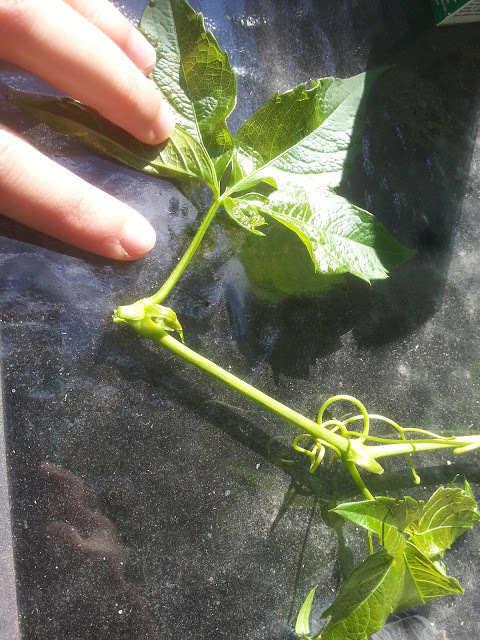 Use surrounding structures to support the vines. I just laid mine against my little decorative wood pile. Water your cuttings gently. Continue to water your cuttings every day or every second day. Just make sure that the soil doesn't dry out. 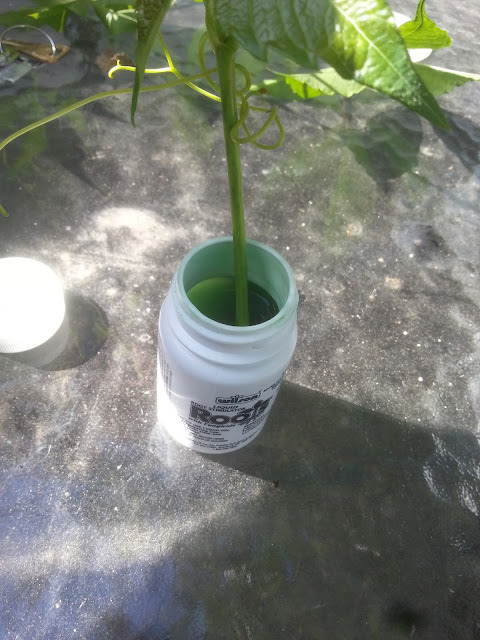 In 10-14 days, your cuttings should look lively and they will have made roots. At this time you can plant them into the ground in the location of your choosing. Be careful when you transplant, as to not disturb the fragile new roots. 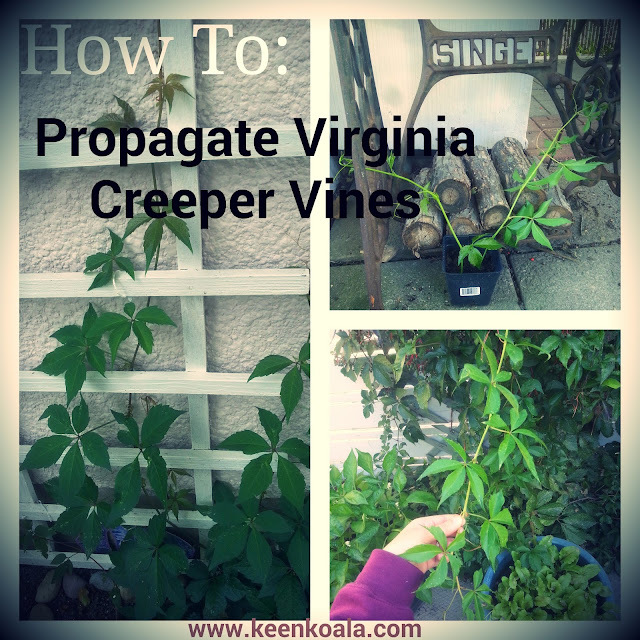 After transplanting, water the Virginia Creeper. Water daily or every second day for the next week or so until the roots have a chance to take hold. And that's it! Wasn't that easy? 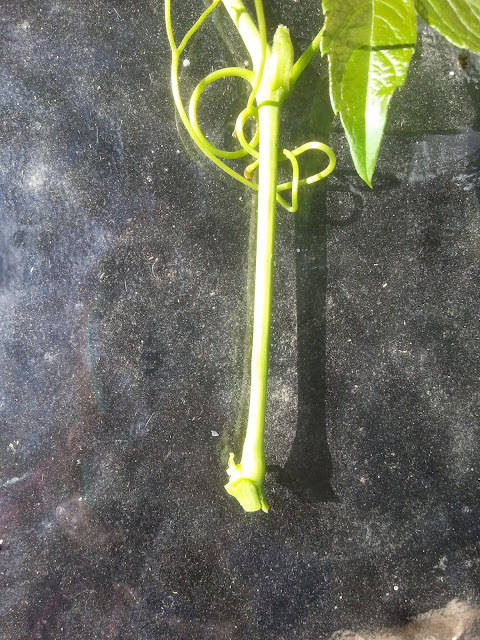 Do you have the propagation bug yet? I do, just check out my workstation. 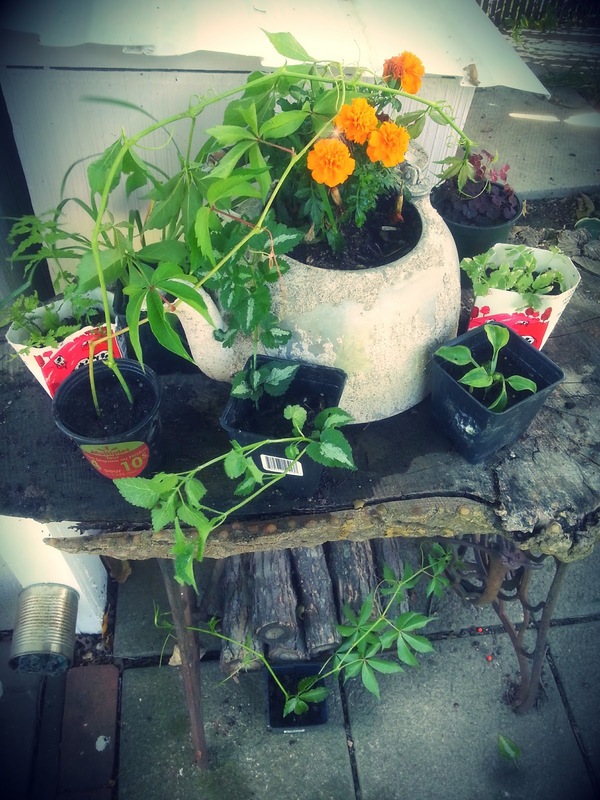 Right now I have 2 pots of Virginia creeper, daylilies, ferns, snow on the mountains, lamium, and hostas on the go! Do you enjoy propagating plants? Or will this be your first attempt? Let me know in the comments section below, I would love to hear from you. Don't forget to LIKE Keen Koala on Facebook for instant access to the latest posts, exclusive content and contests! Just click HERE.